It’s a cloudy start to this much-awaited Labor Day weekend but at least there are no snowflakes in the forecast. Unless of course you whip up this great dessert, one that’s easy to make, store, deliver and doesn’t require heating the oven. Want to make some early snowflakes (A.K.A. the Pizzelle)? This cookie is perfect for the last smoking barbeque bash of the summer. Should you not have the apparatus, (the pizzelle maker) it shall require a shopping trip. Pizzelles, a tasty traditional Italian cookie only require a great recipe, and of course, a reliable machine. If you’ve checked or tested the store-bought pizzelles, most are extremely expensive and tasteless. Want to make a scrumptious pizzelle? This recipe is a sure thing. It’s my tried and true. And if you want to try something different with this homemade pizzelle, put a bowl of raspberries (a garden-fresh idea) next to a batch of these flat waffle cookies, which can easily be disguised as breakfast treats, too. So here’s my favorite Italian pizzelle recipe. Add and beat ingredients together in order listed. (But who has order in the kitchen?) Drop by rounded spoonful onto center of preheated grid. (With my old reliable Rival pizzelle machine, I never used any spray. 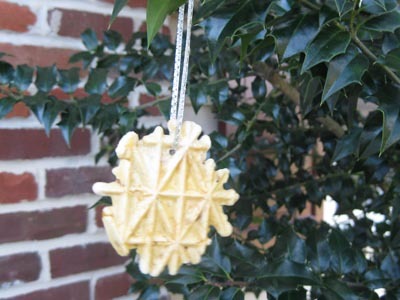 I do recommend with the new pizzelle makers to spray the griddles initially with a squirt of Pam cooking spray.) Allow to cook until steaming stops. About 30 to 60 seconds (There are dummy lights on most new machines that tell you when to remove the pizzelle but I wait until there is a hint of brown to assure crispiness.) Remove with fork. Allow to cool on wire rack. Dust with powdered sugar. Store in airtight container. 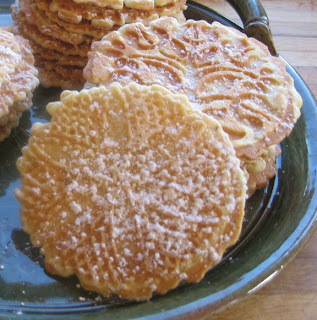 This is the recipe I never deviate from and it has always given me wonderful pizzelles. The powdered sugar makes the cookie. I haven’t tried the fresh raspberries on top but I think it could be a nice garnish. I wouldn’t put it on the cookie until ready to eat. What makes a great pizzelle is its crunch. Soggy is a no-no in my book but there are some folks that like them this way. There are many variations to this cookie, including chocolate, nut and lemon, but I stick to the classic. You can always turn these early snowflakes into cannolis, but that’s more work. And in the words of Voltaire, “Nothing would be more tiresome than eating and drinking if God had not made them a pleasure as well as a necessity.” Have a safe Labor Day weekend wherever your travels take you. 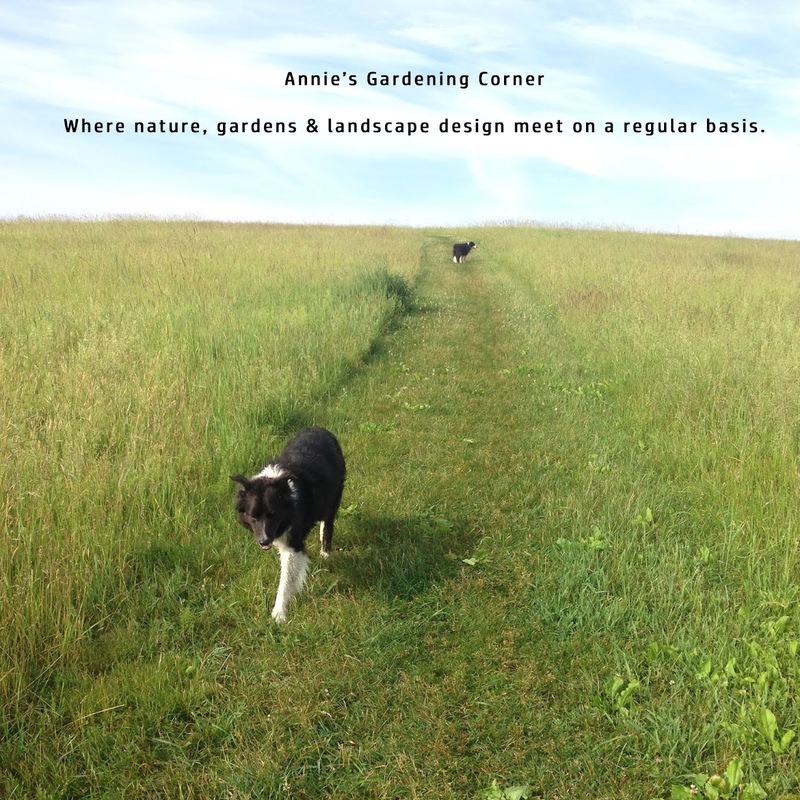 And if you didn’t catch yesterday’s post about September garden chores, don’t worry. There will be plenty more next week!